Weave cords around Pony Beads in a specific pattern to a Skull shaped bead pet for Halloween! Cut Braiding Cord to 48 inches in length. Stiffen both ends by rolling it between your finger with a dab of craft glue. Allow glue to dry. This will help when threading the beads. 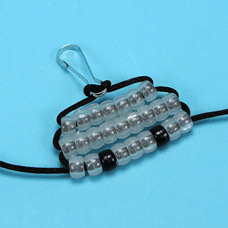 To create Row 1, thread (7) white Pony Beads onto the left hand string. 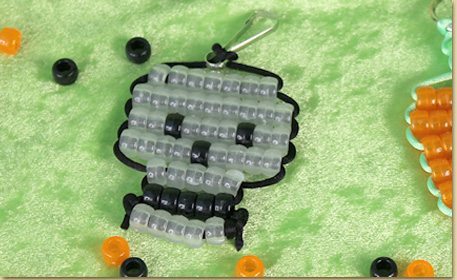 The version shown here is made from the limited edition Halloween Beads Pet kit where the white beads actually glow in the dark! 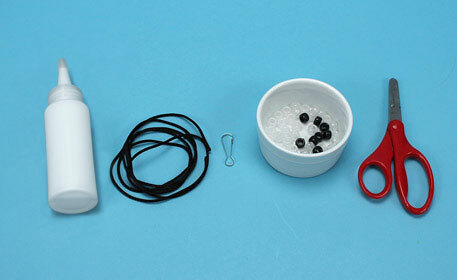 If you don’t have this kit, you can still make a skull bead pet using regular white Pony Beads. Take your right hand string and lace back through beads from the other end. 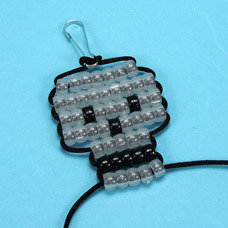 Pull cords tight to form this row of your Skull Bead Pet. To create Row 2, thread the following through the left hand string: (9) white Pony Beads then repeat step 5 and pull to tighten row as shown. To create Row 3, thread the following through the left hand string: (2) white, (1) black, (3) white, (1) black and (2) white beads. Repeat step 5 and tighten to complete row. 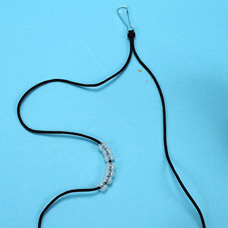 To create Row 4, thread the following through the left hand string: (4) white, (1) black and (4) white beads. Repeat Step 5 and tighten to complete row. 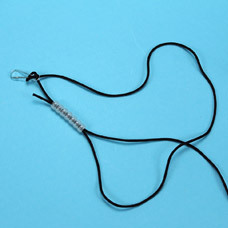 To create Row 5, thread the following through the left hand string: (5) white beads. Repeat Step 5 and tighten to complete row. 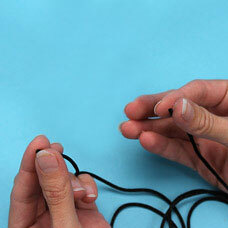 To create Row 6, thread the following through the left hand string: (5) black beads. Repeat Step 5 and tighten to complete row. 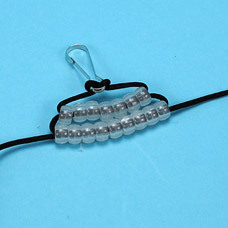 To create Row 7, thread the following through the left hand string: (5) white beads. Repeat Step 5 and tighten to complete row. 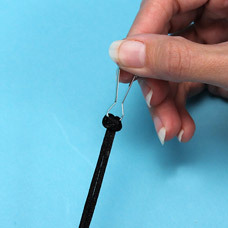 To secure your key chain, tie a tight double knot at the end of the cord, making sure the knot is snug against the beads. Trim excess thread with scissors.